Project Loon is almost ready to team up with carriers to deliver Internet service to those who need it. 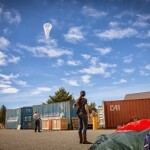 Google’s Project Loon is prepping for its biggest adventure yet: real-world testing with carriers and customers. “We’re now in commercial discussions with telcos around the world and we’ll be flying over places like Indonesia for real service testing this year,” Astro Teller, head of Alphabet’s top-secret X innovation, said in a blog post. Teller didn’t elaborate. But in October, Google announced deals with Indosat, Telkomsel, and XL Axiata for Internet delivery balloons over Indonesia in 2016. The effort hasn’t been easy. Google engineers exhausted a lot of ideas—round balloons, pillow-shaped balloons, balloons the size of a blue whale—before settling on the hot-air-balloon-like prototype in use today. “We’ve busted a lot of balloons,” Teller wrote. “Today our balloons are doing pretty much everything we’d need a complete system to do. 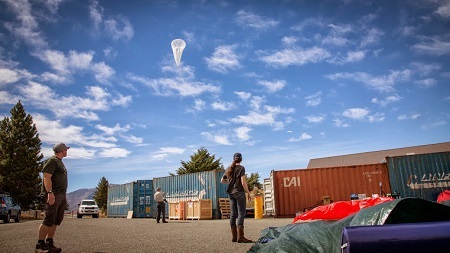 Project Loon—which has completed more than 10.5 million miles of test flights over New Zealand, Australia, and France—aims to expand Internet coverage around the globe, starting in Asia. Balloons are now circling Sri Lanka, where the first of three balloons entered the airspace in February, according to The Wall Street Journal. This entry was posted in Balloons and tagged Google, helium balloon, high altitude helium balloons, Project Loon, Stratospheric balloon. Bookmark the permalink.